White Ink – how the heck should files be prepared? 1. First, you will need to set up your white ink swatch. At the menu at the top, go to Window > Swatches. It should bring up this menu: Click on the button to the left of the trash can to create a new swatch. You will want to name the swatch White_Ink (case sensitive), set the color type to Spot Color, and plug in whatever CMYK values you want so you can distinguish your white ink printing from the rest of your design. Now, you have set up a spot color for white ink! 2. You can apply this color swatch to any object by selecting the object, and then clicking on the White_Ink color box that was created in your swatch window. 3. If you would like a white ink layer underneath a design (such as light pink text that won’t show well on Kraft stock), then we need to make sure the white ink layer does not knock out the design. To do this, you will need to duplicate the designs that need white ink underneath them and change the color to White_Ink. Make sure that the white ink layers are on top of the actual designs. Then, go to Window > Attributes to bring up another window. Select all of the white ink portions that need to be underneath a design, and then check the box that says “Overprint Fill”. This will ensure that the white ink layer is separate from what is underneath it, and will not knock the design out when the print ready PDF is created. Should you be using Illustrator, InDesign, or Photoshop? Normally, we would urge them to use the tool that they are best and most familiar with. After all, you can do the similar things in all of the programs and achieve very similar results. However, there are some key differences between the three that can affect how your artwork will print. While Photoshop is an amazing tool for image and color editing, it can present printing challenges when it comes to wedding invitations, birth announcements, and other fine stationery. The reason for this is because it is a pixel based program. From a distance, you may not notice this. But if you zoom in, you will see that your letters and designs are built pixel by pixel. For the finer details, it can be very noticeable. Illustrator and InDesign, on the other hand, work with shapes, called vectors. Vectors are based on mathematical curves (oh boy…), and because of this, it doesn’t matter how big or small they are. The shape will always remain crisp. We (and our competitors) produce through digital printing, which is not as high resolution as conventional offset printing. Most of the time, you wouldn’t be able to tell the difference; however, digital printing tends to have more trouble with small or thin text. Our digital presses print with dots instead of actual lines, and when the text gets too thin, the dots just can’t do a good job of replicating what it looks like on screen. Because of this, it is even more important to make sure your files are created in the best quality possible. 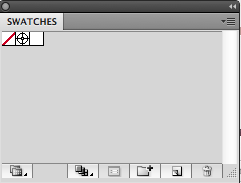 If you were to create and save a design in Illustrator, then save the same design in Photoshop, and then print them both on the same sheet, they would actually appear different. 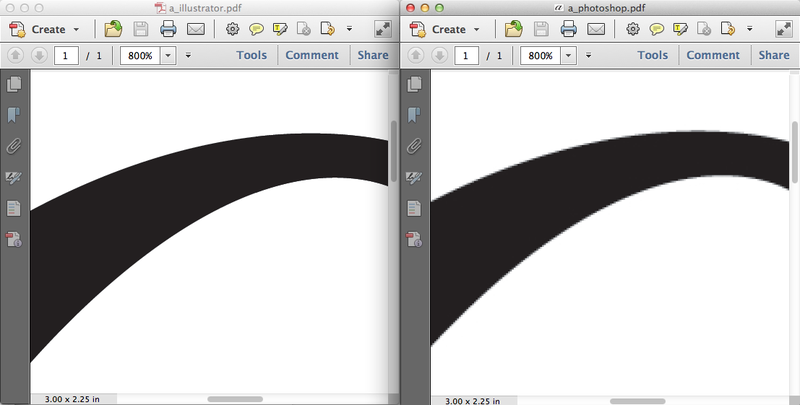 Illustrator outputs vectors and then the press changes it to dots. Photoshop creates dots (pixels) and then the press creates different dots. It is more reliable to count on the vectors to be converted into dots than pixels. Hopefully this makes sense. Of course, for many designs this might not be a big deal, but when it comes to time crunched wedding invitations for a bridezilla, do you want to take any risks? Long term, we really recommend adding Illustrator or InDesign to your toolbox for an optimal printing experience. We believe that this will help to make your customers happier. Why won’t we refund or reprint orders lost or delayed by the USPS on StationeryHQ.com? We love the USPS, wait we hate them. Sometimes it depends on the day. They won’t reimburse us when they mess up. (UPS and Fedex do). Well actually they will occasionally when they screwed up two orders valued over $500 this holiday and they reimbursed us around $60. Their shipment times are suggestions. The other carriers guarantee theirs. They drive us crazy. We want to offer their service and whenever we have a problem it is usually bad and we consider shutting off their service from StationeryHQ.com. We’re kind of stuck here because their rates are competitive but their reliability is shaky. So here’s the deal, we cannot refund or reprint any orders lost by the USPS. In our experience the USPS has an unreliable track record for delivering orders on time. When this happens they do not allow us to file a claim until at least 15 days after the order has shipped. Once a claim has been filed, the USPS initiates a search for your order. If you order is found it is shipped back to us and the claim is considered fulfilled (can you believe that?). This doesn’t help you, your client, or us does it? We do want you to keep using USPS however please don’t use them on any order that is expensive or critical. 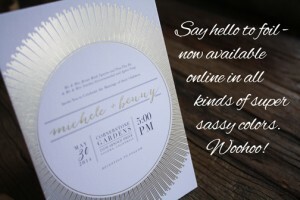 Online ordering of foil stamped cards is live on StationeryHQ.com. Well sort of….We launched a single sided A7 digitally printed card with foil stamping on one side today (3/14/2014). Don’t worry, we have lots of other products coming to go with this however we wanted to launch with an MVP (minimum viable product). We have been doing quite a bit of foil stamping over the last two years. It’s a lot of work to launch new product and this one proved especially difficult since the dies are made offline. We know this will reduce the cost to produce foil stamped cards but we weren’t sure what kind of challenges you would face when ordering your cards. 2. How can we produce these under our current 72 business hour promised turn time? We don’t make dies in-house at this time so we cannot ship within 72 hours. For now we are committing to seven working days. Hopefully we can reduce this time in the future. 4. How do I order other sizes online if I need more than a 5 x 7? We decided to launch with only one product in case we have issues. If this works well we will add A2 and 4bar within two weeks. I hope you like our offering and will help us be successful at this. Feel free to contact your rep with any questions or comments and thanks for giving us a chance to try new things! What the Heck is PUR Binding on StationeryHQ.com?? What the Heck is PUR Binding?? The process we use for binding journals and wedding guest books on stationeryHQ.com is called PUR binding. Here is a video where you can meet Eric of StationeryHQ.com and see our PUR binding. It’s fascinating…. okay, not really. For most people it’s enough to know that it is cold melt process (versus hot melt on those paperback books that fall apart) which yields a stronger book. For those of you who like to dig into production details here are a few articles on PUR binding. If you need more information please email info@stationeryHQ.com or tracy@stationeryhq.com, or post a message on twitter or our Facebook page. Or go old school and give us a call at 800-384-0910.